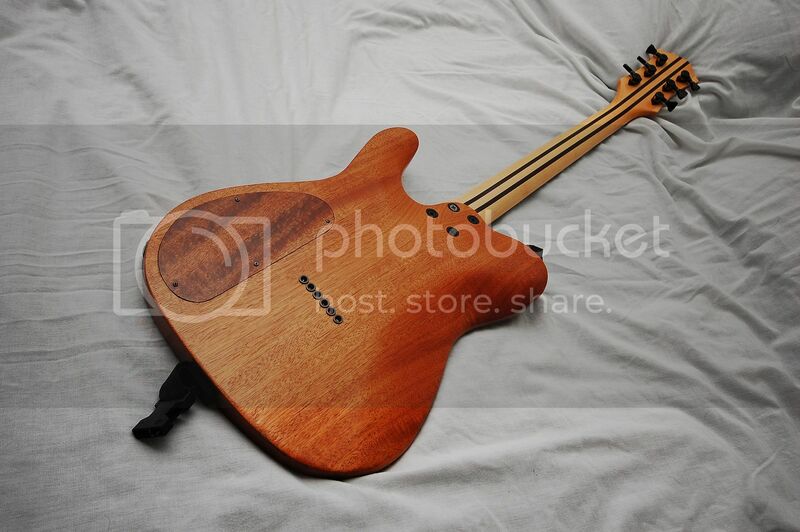 Discussion in 'Guitars For Sale / Trade / Wanted' started by Scrubface05, Feb 2, 2019. I've got something beautiful for you today.. I acquired this guitar and have had it for the past 2.5 years or so. This has some of the nicest playability I've ever seen, and looks absolutely beautiful. I've always been in love with it, but don't play it nearly as much as it deserves. 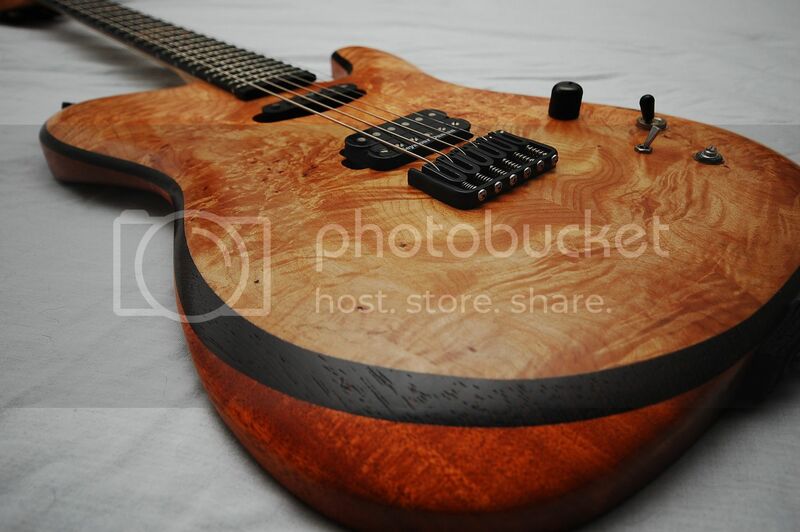 It is a mahogany body, with a wenge slab in the middle, and a burl maple matching top. 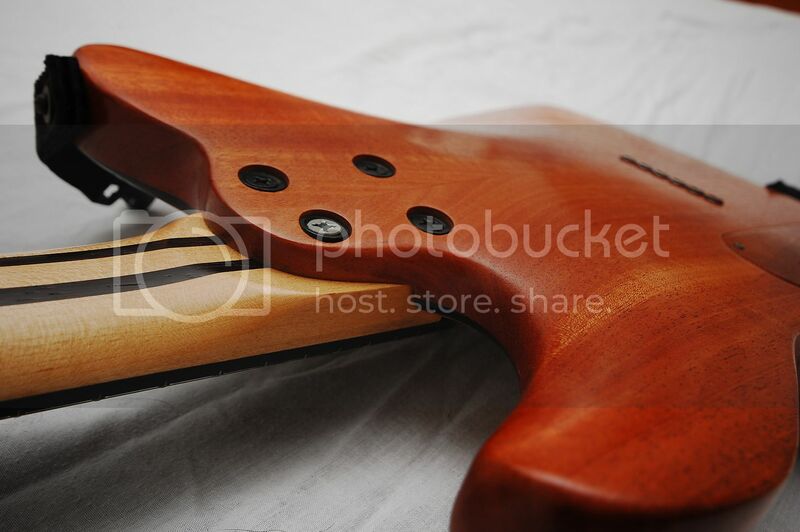 Neck is 5pc maple/wenge. Fretboard is ebony. Hipshot hardware. 25.5" scale. The single coil is the Yngwie signature YMJ. It's one of the nicer 6's I've played, and has a very special feel. 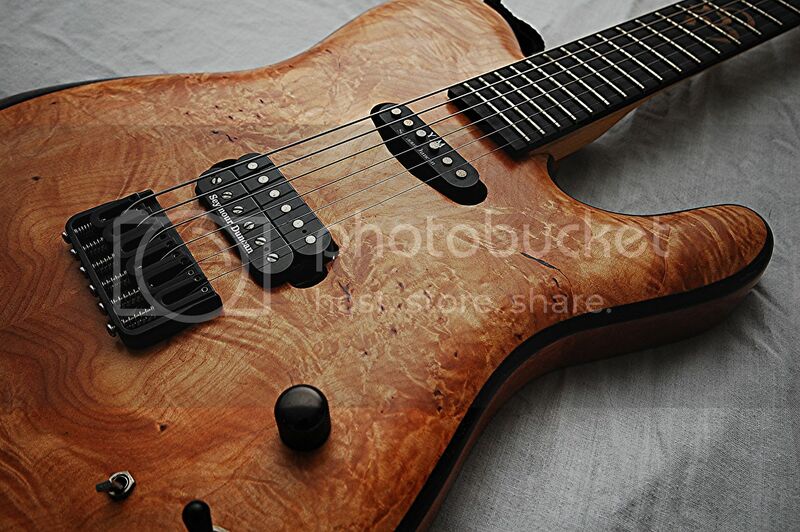 The craftsmanship on this guitar is absolutely magnificent! I've played everything under the sun, and I promise this will make you very happy. 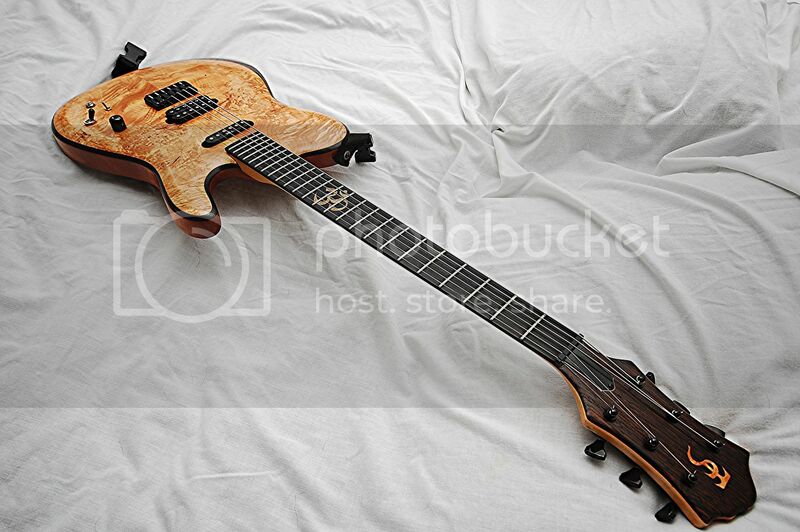 Looking to trade for a high-end 7 string, or other 6's in a similar style. Trades + cash will also be welcomed! I'm very interested in Strandbergs. References (eBay or other forum userid): I've got a decent amount of trades through SS.org, and can pull others from reputable names. As an update/Bump, I would like to include I would trade the guitar for an Axe Fx III. Bumping for the day! Check out the TSmith Instagram, as well as Reverb, if you are wondering what these kinds of builds usually go for. Bump! Interested in most offers! I'm lowering trade value to $1900, in hopes the 2k mark doesn't scare so many people away. If you're gassing for this, and are worried about your trade, don't be! This guitar is ridiculously amazing. Bump for the early weekend! Let me see your guitfiddles everyone! Bump! I'm willing to take offers from 6's! Bump! 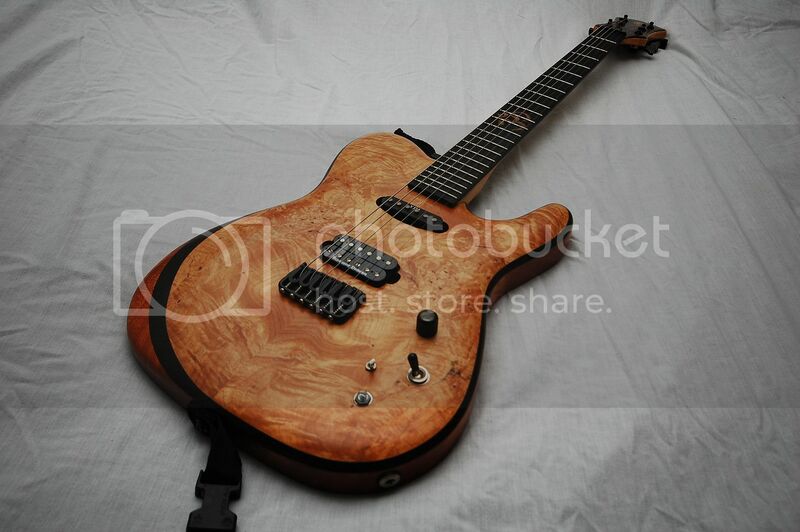 Any Mayones owners out there looking to trade? Bump for the weekend! I've had a bunch of PM offers, but nothing that's caught my eye. Responded to PMs. I'd really love to see what else is out there! Been gone for a bit, bump!